Thanksgiving is the time to be grateful and thankful for all we have in our lives. Often that will mean the people that are closest to us – our family and friends. 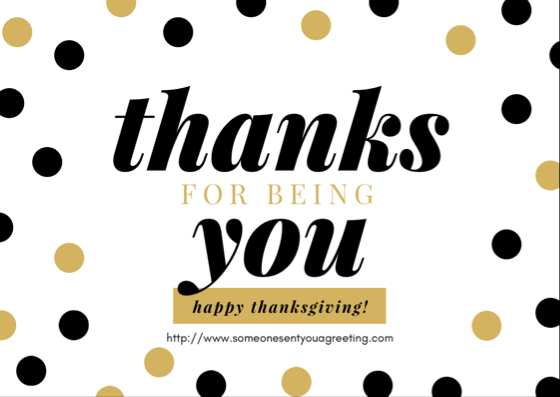 And a good way to show or let those people know just what they mean to you is by sending them a thanksgiving eCard. You can easily make it clear just how thankful you are to have them in your lives with a thoughtful and touching eCard.